A big thank you to everybody who responded to my cry of despair earlier this week in The Nightmare of Writing Your Own Amazon Book Description. You all gave me some excellent feedback, which resulted in me deciding to start from scratch. Although Version 4 was the clear favourite, it still had its flaws, the main one being that it focused more on a secondary character than my main protagonist. Perched on the clifftops at Helmstone-by-sea, British boarding school Toffdene exists in splendid isolation, pretending the Swinging Sixties aren’t happening outside its walls. Janet is a science scholarship girl who believes that all paranormal phenomena have a rational explanation, until she meets a hippie pixie who lives in a dimensional transcendental toadstool. Something stirs in the dark of the old tunnel leading from the playing fields down to the beach. Soon the teachers and pupils develop a hive mind determined to ensnare Janet in its collective consciousness. The hippie pixie might have cured Janet’s acne with a single kiss, but his claim that he can fix what’s wrong with everyone else by mending an interdimensional rift is quite another matter. I did have a struggle over deciding whether “Swinging Sixties” is/are singular or plural in the context above. When I threw it open to discussion in a writing group I belong to on Facebook, the majority of people said it was plural. Mister is insistent that it’s singular. Two online grammar-checkers said it was okay with either and one other threw out the singular version. 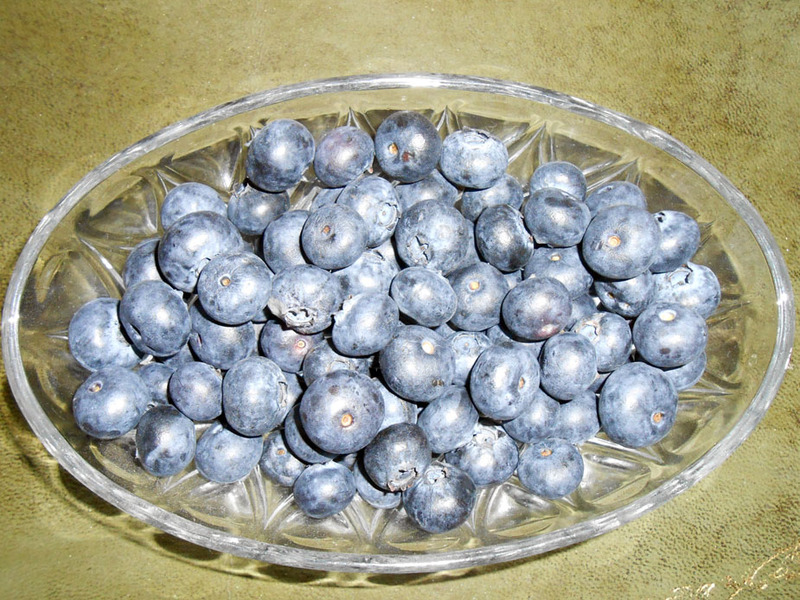 As for those blueberries, all I can say is one person’s superfruit is another person’s poison. There was me thinking that book marketing (especially the part about describing my product) was causing me such stress that it was giving me severe palpitations bad enough for me to think my end was nigh. The only time in the day my heart was desisting from gymnastics was first thing in the morning. But half-an-hour after my supposedly healthy breakfast, which included a handful of blueberries, my heart would go haywire. Then I remembered that my pulse had been perfectly even, at around 63 beats per minute, prior to inclusion of the little blue blighters in my morning fruit salad, so I stopped having them and, hey presto, no more palpitations. Now I’m feeling calm, I’ve decided to run an Amazon giveaway for the next seven days now ended, where one person gets to win has won a paperback copy of Desiccation. Entrants just have to choose a number and hope that it’s the preset winning number that I’ve chosen. Unfortunately, at the moment giveaways are only happening on amazon.com, which means they’re only open to US citizens, so sorry to disappoint my fellow citizens in the UK. That is an outstanding new summary! Well done! Toffdene sounds like a stunning setting for this book! I first read of this on Andrea’s site and was immediately interested. Well done! Thank you, Marilyn. They say write about what you know — not that I ever met a pixie at boarding school or suffered an alien invasion (well, only in my imagination!). As to the grammar issue, from what I’ve been able to research via CMOS (directly and indirectly)–if you need the links, please e-mail or tell me to e-mail you, whatever works best for you–“Swinging Sixties” is spelled out, capitalized, and takes a plural verb when used as the subject. I think whether it’s singular or plural comes down also to a cultural difference between British English and American English with regard to collective nouns; a construction I might see in BE provides an example: “Tottenham are a fabulous team.” [or “Genesis are the best band in the world, ever. Period.”] In AE, we’d shy away from that and say “is” in those kinds of constructions. I don’t know if this has helped. I like the new blurb. Is that for American and British Amazon? I might just suggestion a stronger connection and/or transition between graf 1 and 2, but maybe I’m being too persnickety: e.g., “Meanwhile, within its walls and halls, science scholarship girl Janet Beckett…” or “Meanwhile, at Toffdene, science scholarship girl Janet Beckett …” I don’t know why, can’t cite a rule or anything, but I prefer having Janet’s surname in the blurb. It’s a weird connotation-y thing, I guess, where going without her surname diminutivises (if I can call it that) Janet, although I can see a case being made for her being “everygirl” and leaving out the surname. I suppose it also has to do with specificity; the writing books are always advising, as Natalie Goldberg in one of hers I was recently reading a bit from, being specific: “use ‘Cadillac’, not car.” Sory for the long comment. Suppose I should just e-mail you (sorry I hadn’t yet; another difficult week)! In any case, I’m happy to hear about your new contest. Much luck to you, Sarah! Also, importantly: stay away from those blueberries–and hope you continue to feel better. I’m feeling better each day 🙂 They say it can take 2-3 weeks to recover fully from an allergic response to something (unless it kills you first, of course!). Thanks for all this feedback, Leigh. I’m going to contemplate your suggestions awhile and maybe apply them if sales get too slow. The whole publishing process with this first book is an ongoing learning experience. My UK sales continue to be much higher than my US ones, so any suggestions made by you from over the Pond are most welcome. However, for the next week or two I’m going to leave my book description, categories, and keywords as they are, hopefully to work some magic for me. Meanwhile, I’m going to start revising, editing, and formatting book number two, ready for publishing! Am so sorry that you’ve had another difficult week. I do hope that next week is better for you. Life is such hard work at times, usually because of People in a collective sense and spelled with a capital ‘P’! Thank you, Carla. Glad you liked the summary. Thank you for entering the Giveaway and sorry you didn’t win. I just checked on my Amazon account and there is now an official winner, so that was quickly over in one day! It was the first one I have entered, Sarah. It was fun! Great summary. Who wouldn’t want to read this and find out how it all develops. Glad you discovered silly blueberries were the culprit. What an easy fix! Thanks, Joss. Am glad you think the new blurb leads people to want to know more! Silly blueberries, indeed. They’re held out to be so healthy and I only took them because my cholesterol tested as a tiny bit raised and they’re meant to help. Glad you think the blurb is accurate, as you’ve read the book! I was a bit worried that the previous blurb had its main emphasis wrong, and I’d hate to mislead readers who might end up disappointed and give it a bad review. Those blueberry monsters would be good in a book for 6-8 year-old readers. I can just see some illustrations of blueberries with faces drawn on them — mouths with serrated teeth! That’s interesting about comprised immune systems. I know that people on Warfarin are not allowed them because of their blood-thinning properties. Yes I can see blueberry faces. Faded colors, some wrinkly others ready to burst. I have lupus anti-cogulation which causes my blood to clot. Very common in people with lupus. While in the hospital my blood was so thick it took a long time fill the blood viles. When I was being discharged they pulled out the IV and my blood was nice and thin and gushed out. My thick blood is what kept me in the hospital for the extra day. I don’t think your blurb will disappoint your readers. I didn’t know about people with lupus having thick blood. What a nightmare, and so frightening. Poor you! I think “swinging sixties” is singular, because it is one decade. It is a group. But that’s interesting the majority of people said the opposite. Oh English – never easy! Indeed, English is never easy. My instinct was to write it as singular in the first place, but then I started thinking that it might be plural because the blurb is written in the present tense and talks of events that take place in a a few months of a single year, so the sixties haven’t/hasn’t yet become a decade. It’s a bit of a mind-bender really.